When you quit smoking, the inflammation in the airways goes down. The little hair-like projections in the airways that we call cilia — which are paralysed by smoke — begin to work again. So the lungs will get better in weeks to months. Breathing will get better. Exercise capacity will get better. Paradoxically, people find that they cough a little more right after they stop smoking, but that’s natural as that process is the lungs cleaning themselves out. The benefits of quitting smoking — no matter what your age — are prodigious. Risks of heart disease and stroke plummet. So does the risk of lung cancer, along with cancers of the mouth, throat, bladder, cervix and pancreas. But if you’ve been smoking a long time and have developed COPD [(or, chronic obstructive pulmonary disease)], which includes chronic bronchitis or emphysema, the lungs never totally heal. Chronic bronchitis is an inflammation of the airway. Some of that inflammation can be reversed. But if the inflammation has led to scarring of the walls of the airway, some of that cannot. Emphysema is a disease in which the walls of the fine air sacs of the lung — the place where the lung does its business of exchanging oxygen for carbon dioxide — break down. So tiny little air sacs become bigger ones — and they’re less efficient in transporting oxygen. The lung can’t grow new walls for these air sacs. The lung loses tiny blood vessels and can’t grow new ones. So that’s permanent. The risk for lung cancer probably returns to that of a nonsmoker somewhere between 10 and 15 years after smoking cessation. The most comprehensive study into methods of quitting, reported in New Scientist Magazine, found that “hypnotherapy enjoys a greater success rate than any other method in helping people stop smoking.” So why does hypnosis work so well? And how is it that you can quit in just a single session of hypnosis, when other methods can take weeks or even months? Smoking, like all habits, is controlled by the unconscious part of the mind. Hypnosis helps us access the REM state – nature’s optimal learning state – and it is in this state that your deeper, unconscious mind is more open to new ideas and suggestions. When your unconscious is reprogrammed you don’t have to try not to smoke; the urge is simply no longer there. Your unconscious mind has been programmed (through years of repetition) with the belief that smoking has done something positive for you. Yes, that’s right, there has been a positive intention to the smoking habit. These are all positive intentions. However, there are other, healthier ways to achieve them. Through hypnosis, your unconscious can generate healthy alternative behaviours which you will carry out automatically. 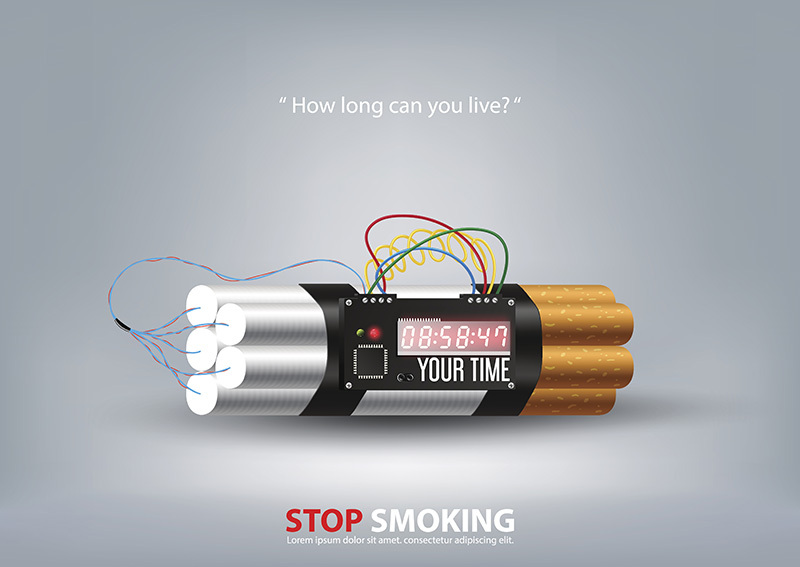 In effect, your stop smoking hypnosis session will re-program your unconscious mind to produce the same positive intentions that you believe cigarettes have given you, but in far healthier and normal ways. The human body was never designed to smoke, thus it is not a ‘normal’ behaviour. At Stop Smoking Kenilworth we have helped many clients to stop smoking easily without cravings, anxiety or increased weight . No longer enslaved to cigarettes, removing the physical longing for cigarettes, and leaving clients mentally strong and positive that they are now non-smokers.